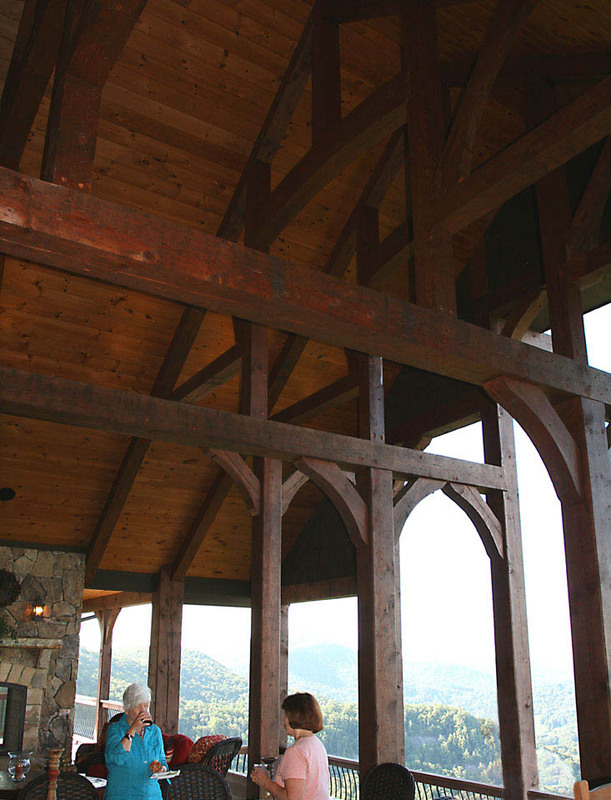 This Timber Frame Design is a New Mountain Retreat House. In Highlands, North Carolina, On One of the Highest Sites in the Blue Ridge Mountains. 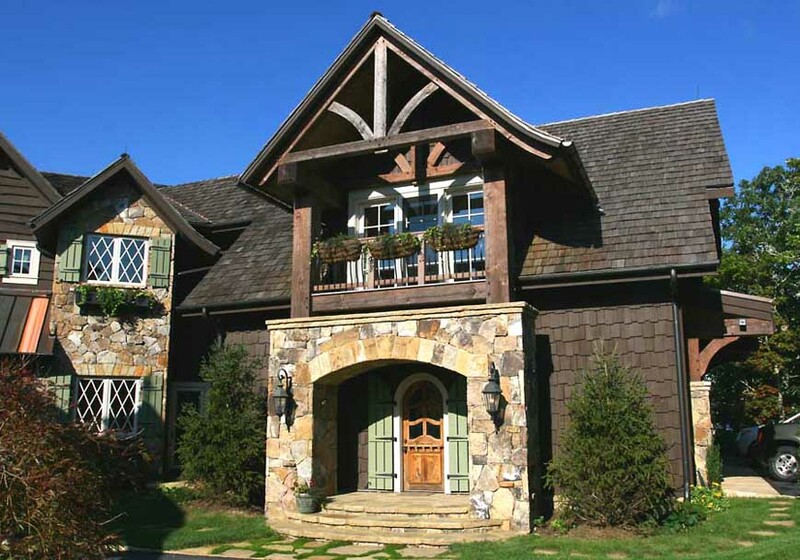 HOME ARCHITECTS ® provided design and construction document services on this spectacular house in Highlands NC. 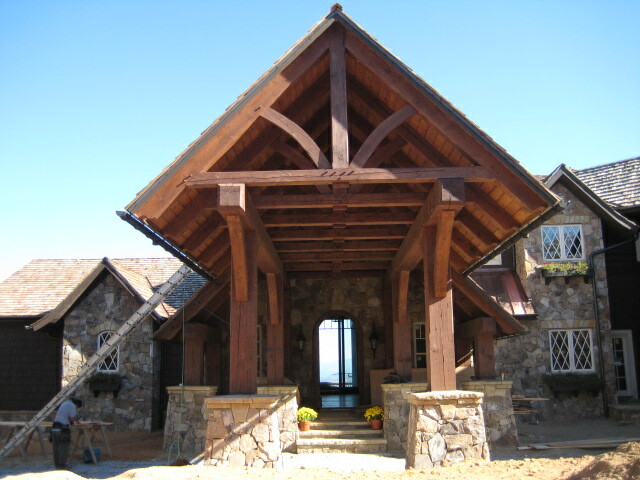 Timber frame design project, Highlands, NC. 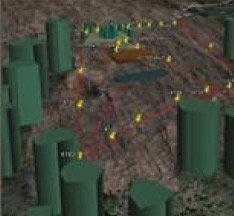 (C) Copyright 2007-2012, Home Architect, PLLC, All Rights Reserved Worldwide. Highlands Cove custom project designed by senior staff architect Rand Soellner, AIA. Interior view looking down from Loft showcases the firm’s trademark “Grand Canyon Doors” 12′ tall x 22′ wide that pocket to provide a nearly seamless connection between inside & outside space. One of the larger, outstanding mountain house projects in the USA, this timber frame house recently sold in the range of $3.4M+/-. Rand Soellner’s firm often designs residences for clients who then may chose to resell them for a handsome return. In these challenging economic times, not every house will provide a profit, and yet it appears that houses designed by HOME ARCHITECTS ® seem to be doing well these days. 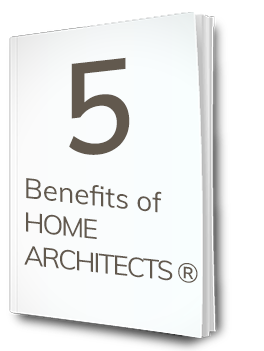 In general, houses designed by an architect should provide a greater return than those by others, depending on your individual circumstances. 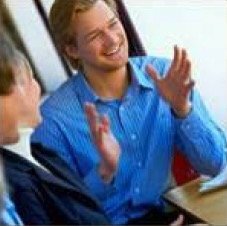 And if you chose to remain in your custom designed residence, you have the enjoyment of living in a house designed and built to your lifestyle and views and topography. This spectacular setting is atop Highlands Cove’s highest property, not quite a mile above sea level. 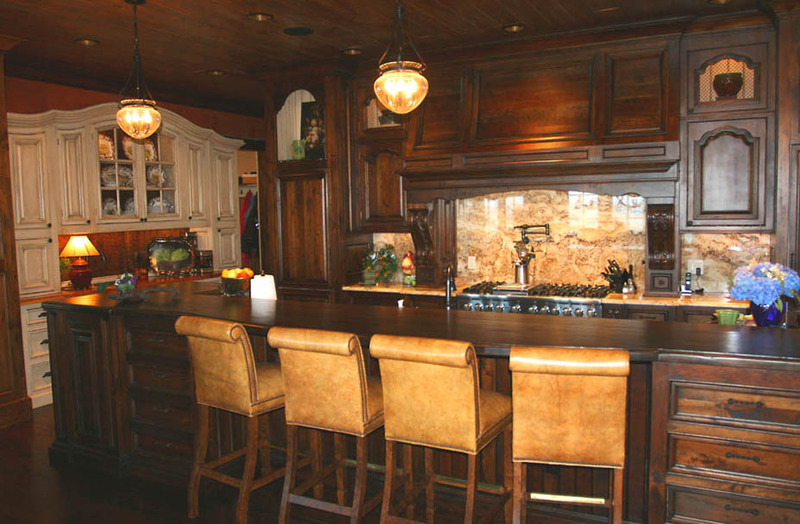 (C) Copyright 2007-2012 Home Architect, PLLC, All Rights Reserved Worldwide. The setting of this incredible house is several hundred feet above the nearest road and about 4,600’ASL (Above Seal Level). Views extend for up to 60 miles or more, depending on the clarity of the day. The Soellner design was created to maximize views, so that everything that charmed the owners about their land was enhanced by the design of the house. 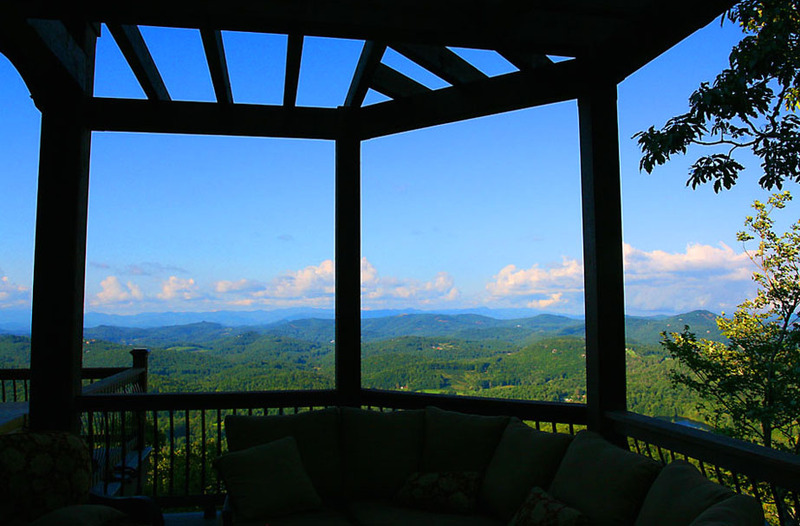 This architectural company excels in framing views and capturing vistas that take your breath away. 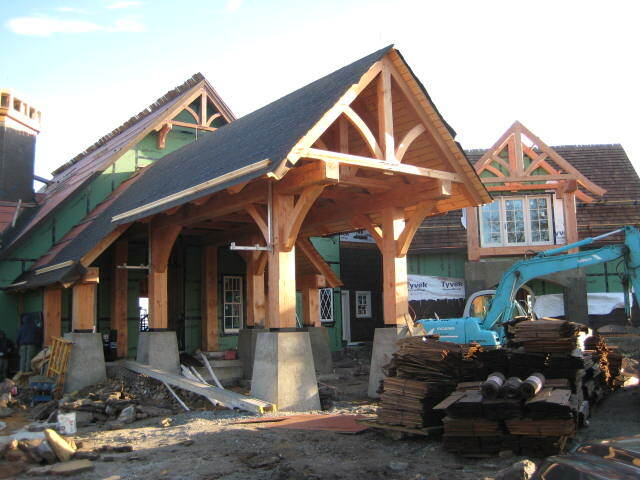 Front Elevation of this timber frame design project, designed by project architect, Rand Soellner, AIA. (C) Copyright 2007-2012 Home Architect, PLLC, All Rights Reserved Worldwide. 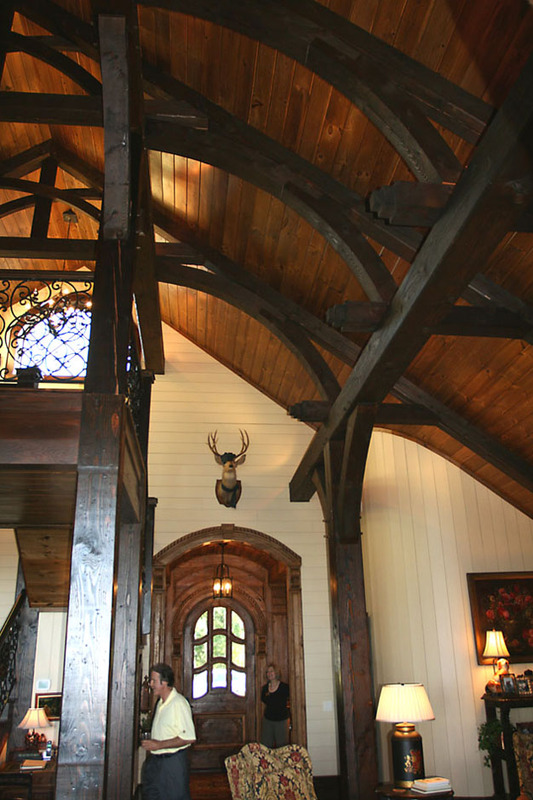 This view of this timber frame design is from the entry Motor Court, with the Porte-Cochere prominent in the middle of the house. To the right is the stone base and timber tower in front of the side of the Garage and 2nd Floor Home Gym with covered porch. 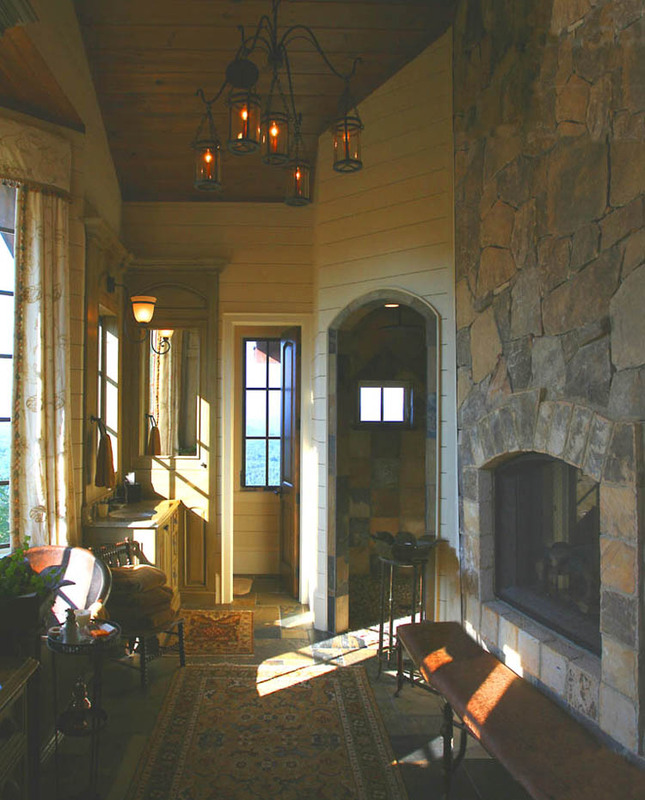 To the left side of the house is the stone gable at a window seat in the large, walk-in Master Closet. The center of the Motor Court received a pond and water features with boulders and flagstones. 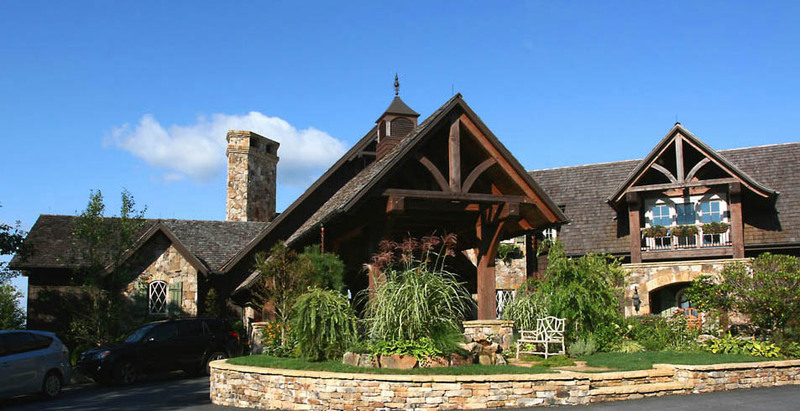 2-story stone & timber frame tower adds drama and function to side of house. (C) Copyright 2007-2012, Home Architect, PLLC, All Rights Reserved Worldwide. Designed by staff project architect Rand Soellner, AIA. 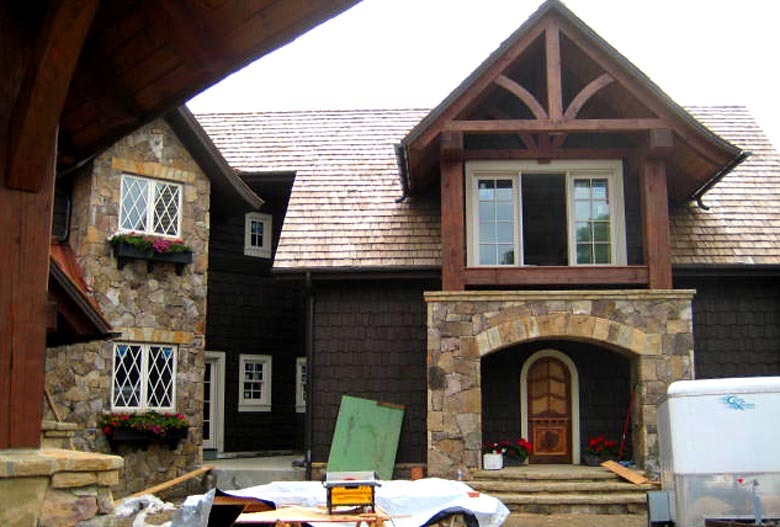 The Front Right detail view depicts the stone based timber frame tower, that serves to add interest to the side of the garage on the 1st Floor (will providing pedestrian access there) and a light-filled porch for the Home Gym above. The 2-story stone gabled tower to the left provided a window seat for both 1st Floor and 2nd Floor guest bedrooms. Attractive elevations on all sides of a residence is one of the “givens” that this architectural firm provides. (C) Copyright 2007-2012, Home Architect, PLLC, All Rights Reserved Worldwide. Project architect Rand Soellner, AIA. While some people consider most Garage entrances to be unpleasant, this particular architectural company makes sure that Every side of their designs looks attractive. For instance: this Garage Elevation is a handsome assembly of components worthy of a magazine cover. Note the garage doors that give the impression of being side-hinged and also has cross-bucks. Above the garage doors is a shed roof that protects the garage door openings from rain, snow & ice. This is supported with robust timber posts, beams and bracketry. Further above on the wall is a gable roof end cantilever with a small timber truss, supported on bracing & bracketry. And there is an end gable window providing light and natural ventilation to the Home Gym on the 2nd Floor. Finally, there is abundant landscaping guiding & shielding vehicles around the driveway curve and up to the large garage doors. Gracious Front Porch at this main entranceway. All this roof overhang guarantees dry and comfortable entrances & exits for owners and guests alike. And what a sense of ownership and of “house.” (C) Copyright 2007-2012 Home Architect, PLLC, All Rights Reserved Worldwide. The gracious Front Porch provides enough space for several rocking chairs and a wider and taller than normal front door. And all of it is under the large protecting arms of the Porte-Cochere (which is a timber frame version of a carport, only much nicer). Note the Arts & Crafts vertical slope on the native stone pedestals and nice rockwork detailing, a hallmark of this architect’s practice. Also, note the massive timber work giving a sense of shelter and repose. 3 stone risers up off the flagstone driveway area gives just enough sense of vertical separation to make the Front Porch feel special and to afford a view over everything coming and going. View from Foyer into the Great Room area. The grandeur of this house’s spaces is difficult to find anywhere else. 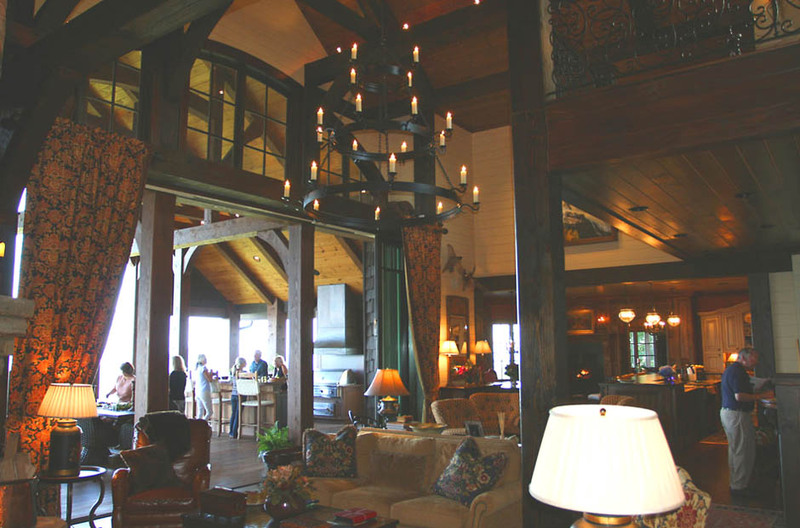 This residence is the epitome of mountain lodge living. (C) Copyright 2007-2012, Home Architect, PLLC, All Rights Reserved Worldwide. Project Architect: Rand Soellner, AIA. This view is from the Foyer looking into the Hearth Room and then out into the Outdoor Living Room and to the amazing view beyond. This is one of those houses that “has it all.” Beauty, brains, space, quality, efficiency & strength. Master Bathing at its most elegant: note the copper slipper tub on the left, strategically centered in the bay window overlooking the huge mountain view, and the 2-way fireplace, shared with the Master Bedroom. (C) Copyright 2007-2012, Home Architect, PLLC, All Rights Reserved Worldwide. This is the Master Bath 1. It has a 2-way fireplace that is centered on the king bed in the Master Bedroom and also centered on the bay window and copper slipper tub in the Master Bathroom. Note the 2-person walk-in shower that needs no door to function properly, and its slate tiles. There is also 2 toilet rooms: one straight ahead with the window & door in the photo; the other one is behind us to the right, and also offer a privacy room with door. There is also access into the Master Closet from both the Master Bedroom and the Master Bathroom; a special arrangement not found in 99.99% of other houses in the World. This is the sort of added functionality and convenience sought after by this architectural firm. The true OPEN SPACE DESIGN effect desired by so many of today’s house concepts, achieved here as a grand example. (C) Copyright 2007-2012, Home Architect, PLLC, All Rights Reserved Worldwide. Project Architect: Rand Soellner, AIA. 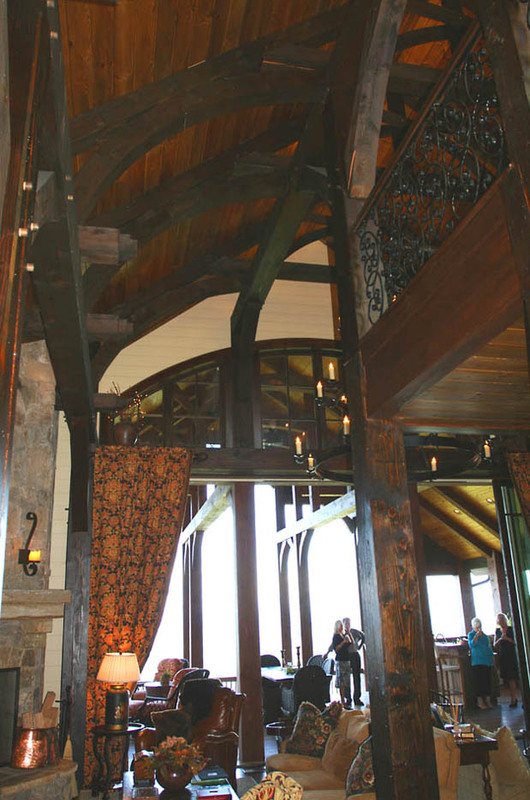 Here you can see a good chunk of the Great Room space, combining the Hearth Room, Dining & Kitchen, although the architect provided a substantial “Panoramic View Dining” space immediately in front of the Kitchen, offering an incredible view over the mountaintops, for a distance of perhaps 40 miles+. The flow of space shown here in undeniable: what all Open Space Designs try to achieve and often miss, unlike this masterpiece. Note 2nd Floor Loft just barely visible on the upper right. 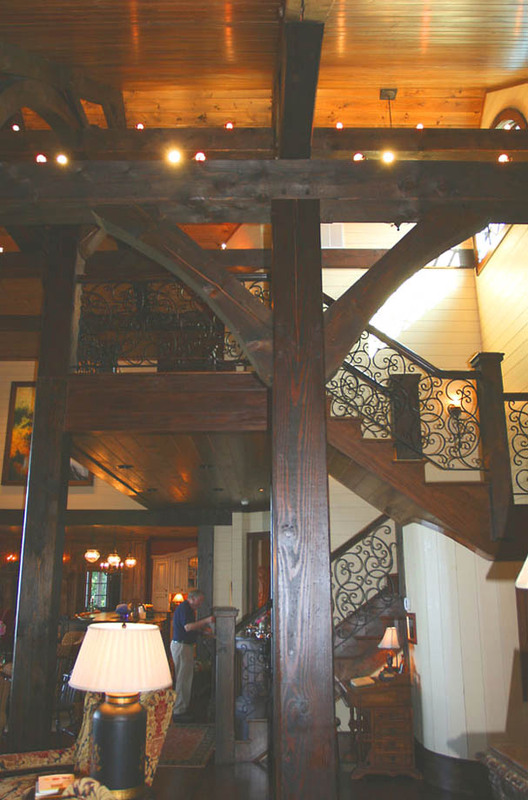 Timber stair and supporting posts and bracing. Like nothing else. 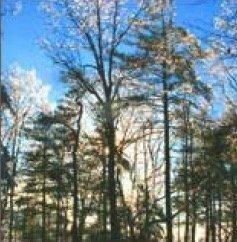 (C) Copyright 2007-2012, Home Architect, PLLC, All Rights Reserved Worldwide. This gives a nice perspective of what you see, walking from the Master Bedroom toward the main living space. Looking toward the Kitchen to the right rear in the shot, and you can just see the elevated dining fireplace to the rear left. A more gracious mountain house you couldn’t find anywhere. (C) Copyright 2007-2012, Home Architect, PLLC, All Rights Reserved Worldwide. Project Architect: Rand Soellner, AIA/NCARB. And here we are in the Hearth Room, looking toward the Kitchen. It is amazing at just how large properly Open Planned houses can appear! 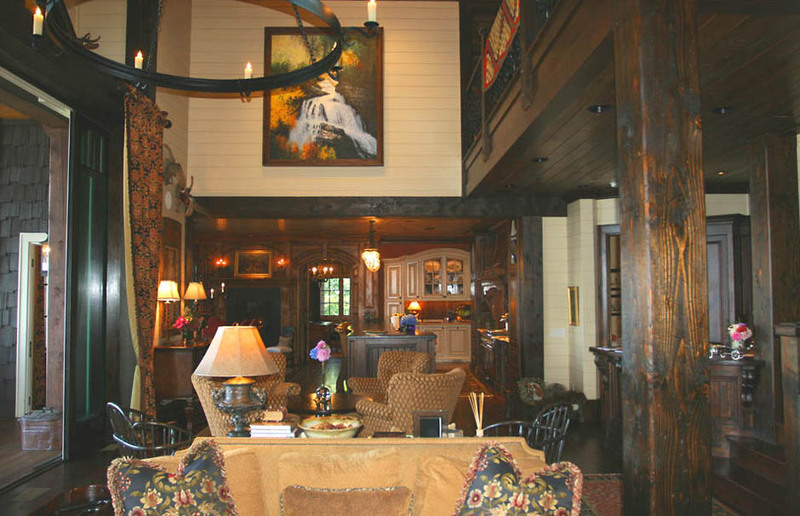 Note the nearly seamless connection to the Outdoor Living Room to the left, through the Rand Soellner designed Grand Canyon Doors (12′ tall x 22′ wide) and the Pub to the right, behind the timber post and the stairs going up on the far right. 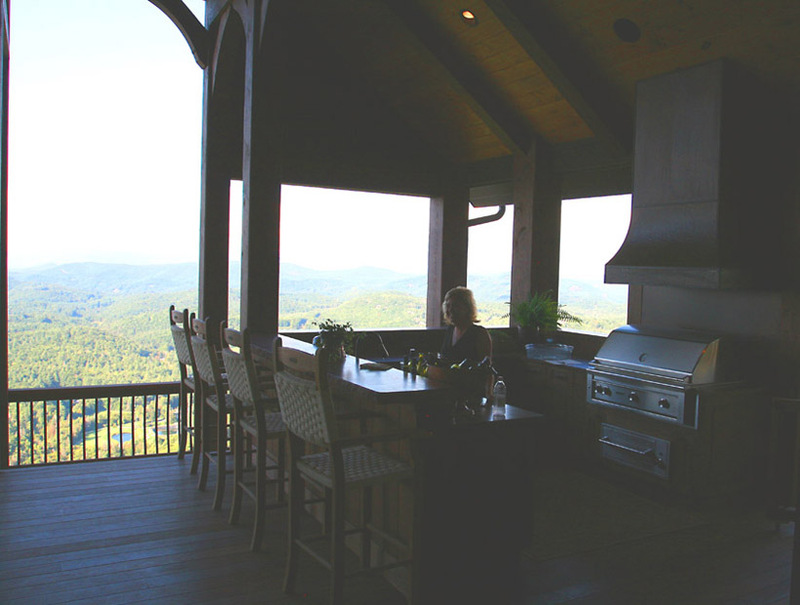 Summer Kitchen at the Highlands Timber Frame project. Unparalleled entertaning, high above the clouds! (C) Copyright 2007-2012, Home Architect, PLLC, All Rights Reserved Worldwide. Project Architect: Rand Soellner, AIA. This space actually serves up food & drinks about 9 months a year; whenever it not too cold outside to enjoy. This space has an outdoor grill, sink, outdoor cabinetry and lots of counter space and of course the Bar, with room for lots of people to have a seat. Note the terrific view! Mountain house with view off the rear porch. (C) Copyright 2007-2012 Home Architect, PLLC, All Rights Reserved Worldwide. Project Architect: Rand Soellner, AIA. 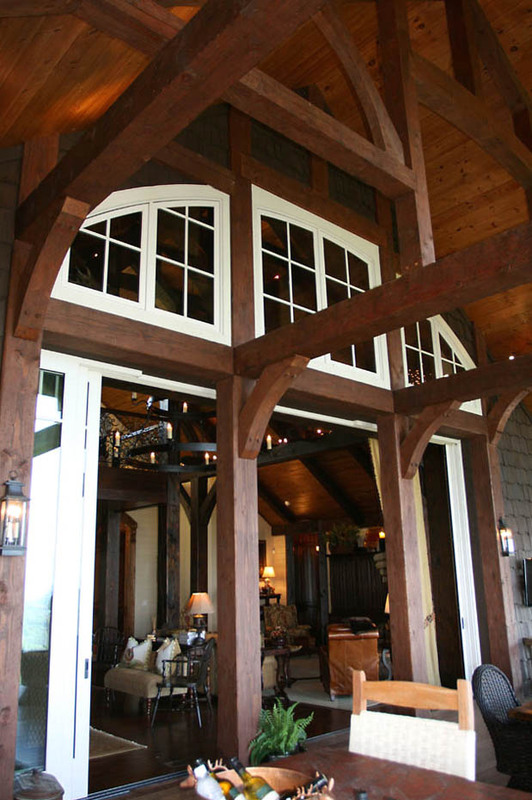 Timber frame at its best. Glorious views for tens of miles, entertaining on a grand scale. Outdoor fireplace (2-way) and high-beamed ceilings. 2-way outdoor fireplace. What a wonderful experience! Imagine lounging here in an Outdoor Living Room, a fall chill in the air, and a toasty fire roaring nearby, while you read a favorite book, surf the Internet, or just watch the clouds below you, scudding from mountain to mountain. (C) Copyright 2007-2012 Home Architect, PLLC, All Rights Reserved Worldwide. This architectural firm specifies exterior fireplaces out of non- combustible, non rusting Icelandic pumice, covered in Native stone and firebrick. For pennies on the dollar, you get the look of totally custom made brick fireplaces. Note the 2-way fireplace here, which gives the Sleeping Porch and the Outdoor Living Room a fireplace, but for only the cost of one. Grand Canyon Doors designed by Rand Soellner, AIA for this fantastic house. (C) Copyright 2007-2012 Home Architect, PLLC, All Rights Reserved Worldwide. And here is the view of gigantic Rand Soellner- designed Grand Canyon Doors from the outside. Note how they pocket into the walls on either side. This results in a magical giant opening when these huge doors are fully retracted, creating a nearly seamless continuity of space from inside to outside, expanding the interior space by nearly double. 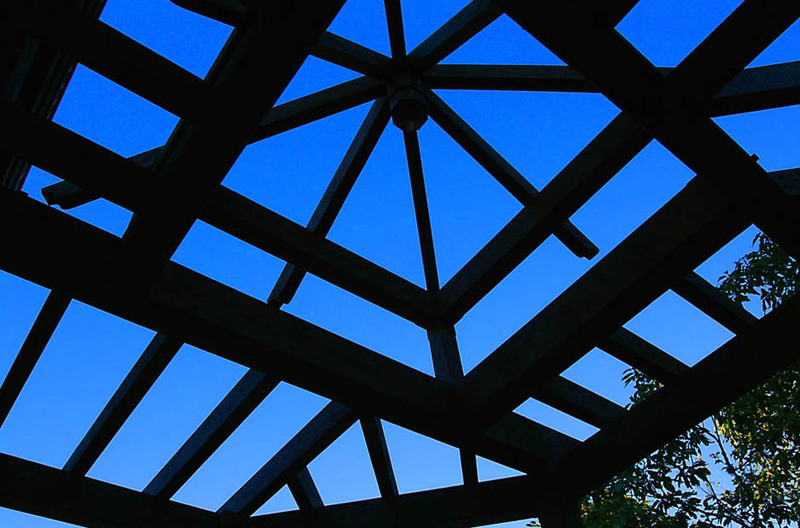 Pergola over outdoor conversation space. (C) Copyright 2007-2012 Home Architect, PLLC, All Rights Reserved Worldwide. Out on the rear porch, the owners asked the architect to design a pergola, to articulate an outdoor seating space and provide a bit of shade. This dramatic structure is the result. I can see for miles and miles! 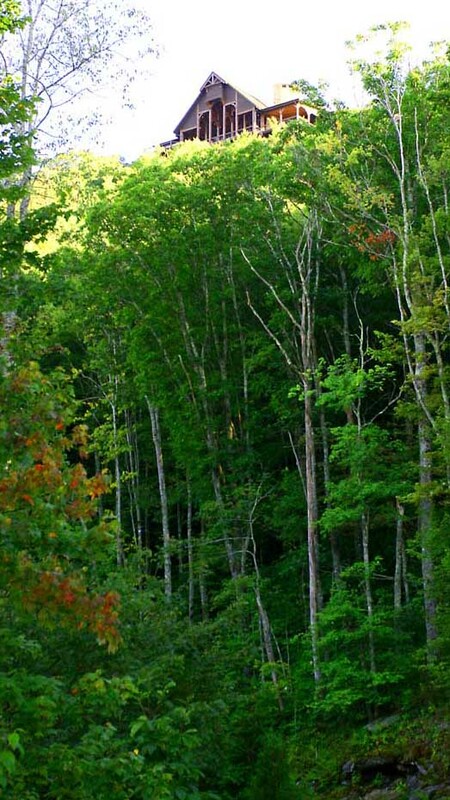 Incredible views of the Blue Ridge Mountains. (C) Copyright 2007-2012, Home Architect, PLLC, All Rights Reserved Worldwide. And here is the view under the pergola! 40+mile views at about 4,600′ ASL. The clouds are typical Below the level of this house. Blue sky reflected in the glass of guest bedroom above dining. (C) Copyright 2007-2012 Home Architect, PLLC, All Rights Reserved Worldwide. On the rear sun deck, looking up at the 2nd Floor guest bedroom. Sky reflected in the double- pane insulated glass. 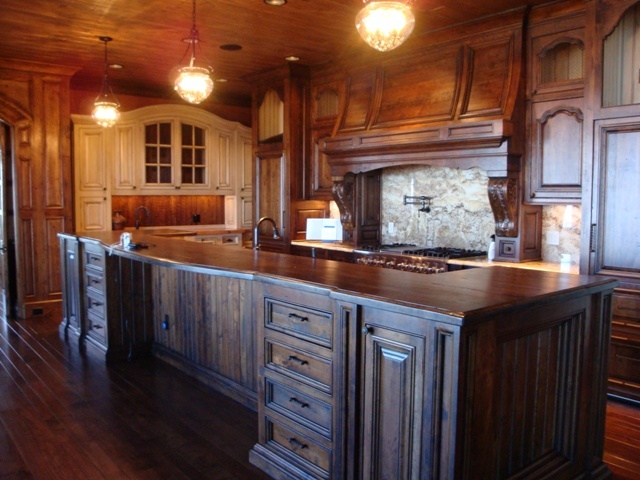 Gourmet Kitchen: granite, copper, hardwoods, farmhouse sink and all the bells & whistles. (C) Copyright 2007-2012 Home Architect, PLLC, All Rights Reserved Worldwide. Providing plenty of seating space for guests and the ideal open space plan that allows family & friends to be near you while preparing the meal. Cold boxes are behind cabinet faces. 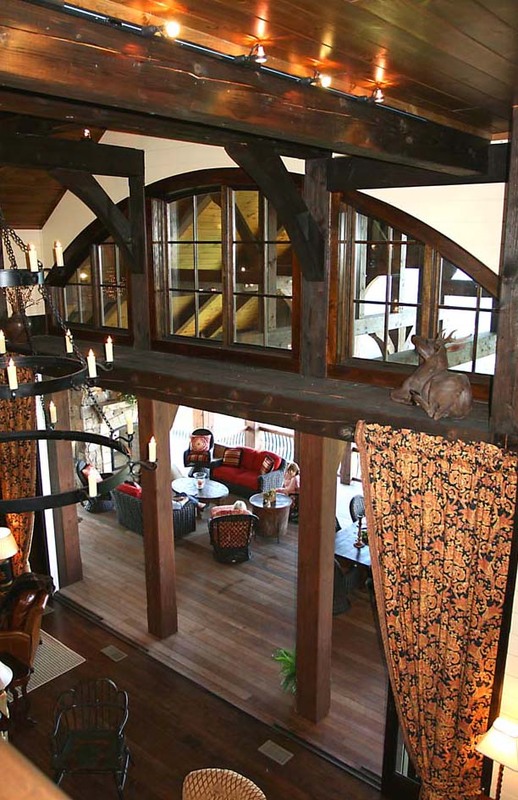 Spaciousness of the Hearth Room, revealed vertically & horizontally, along with massive timber arched trusses. (C) Copyright 2007-2012 Home Architect, PLLC, All Rights Reserved Worldwide. Project Architect: Rand Soellner, AIA. In this photo, the house is nearing completion. 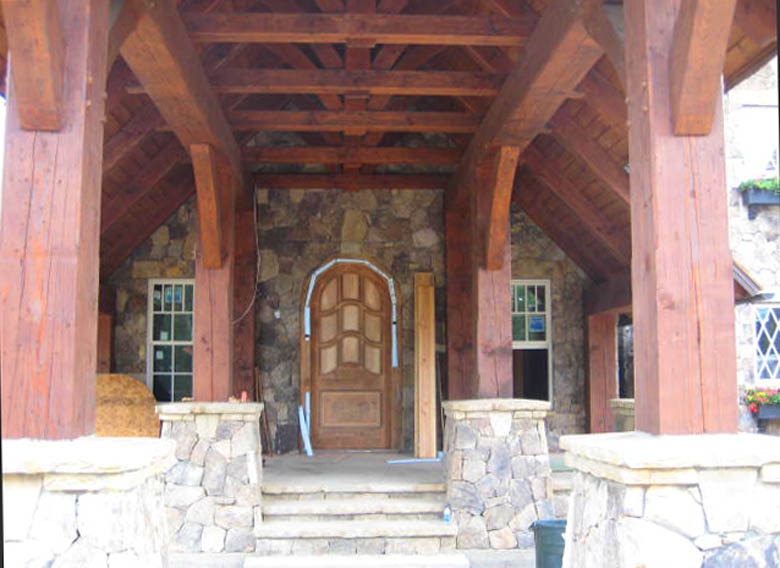 The extensive mountain rockwork is done as is the interior woodwork. Finishing touches were in progress at this stage. Here, the Main Kitchen is shown nearly complete and the adjunct Galley Kitchen is visible to the rear left. This happens to be a large home, designed for entertaining. As a matter of fact this house was picked by the Highlands Playhouse as its 2011 SHOWHOUSE, in which the public was invited to tour this magnificent home for $30 per person to support that local fine arts venue. 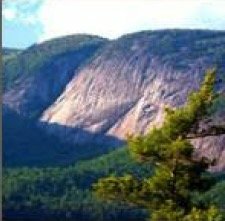 It is a great honor, as the Highlands-Cashiers-Lake Toxaway area is a mecca for high-end luxury houses, some of them costing many millions of dollars. And this house, designed by Rand Soellner Architect was deemed to be the best of the best in 2011. Porte-Cochere developing here is one of the latest construction photos. Many clients like the convenience and attractive appearance of this timber drive-through feature at the front porch entry. 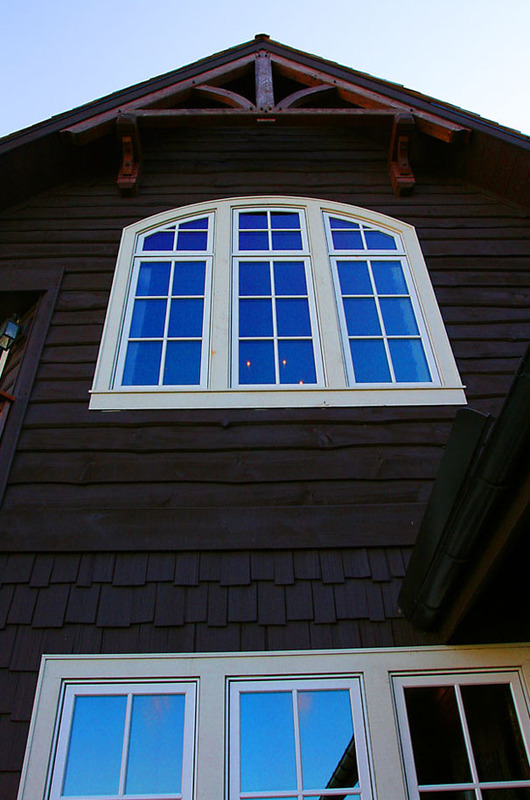 (C)Copyright 2010 Rand Soellner, All Rights Reserved worldwide, photo by Koenig Homebuilders. 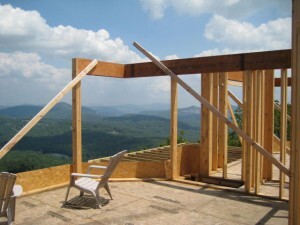 The construction has continued on this ambitious timber frame luxury residence, as you can see in these latest photos. The front entry- porte-cochere is coming along nicely. 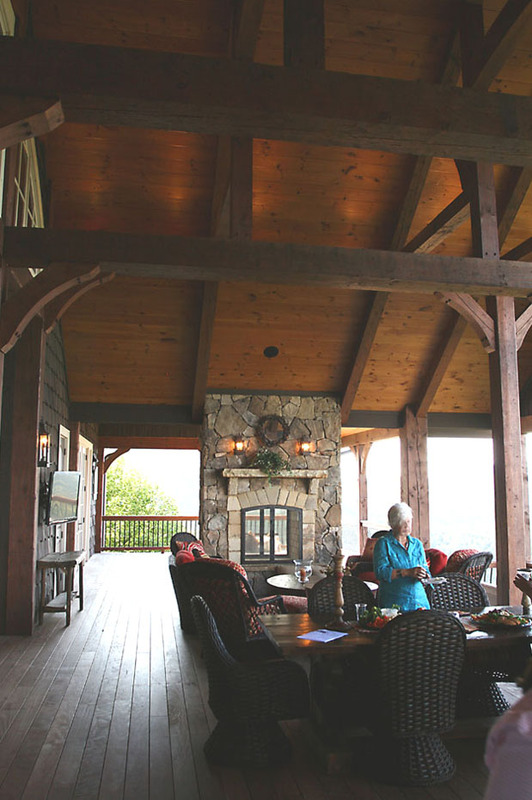 On this mountain house, the residential architect provided the timber frame design, post and beam design, and conventional stick frame architecture. This is a timber frame design dream come true for the newlywed homeowners, on one of the very best sites in the entire Highlands Cove community, and to our knowledge, the highest. The views are breathtaking, going all the way into South Carolina on a clear day. (C)Copyright 2009 Rand Soellner, All Rights Reserved Worldwide. 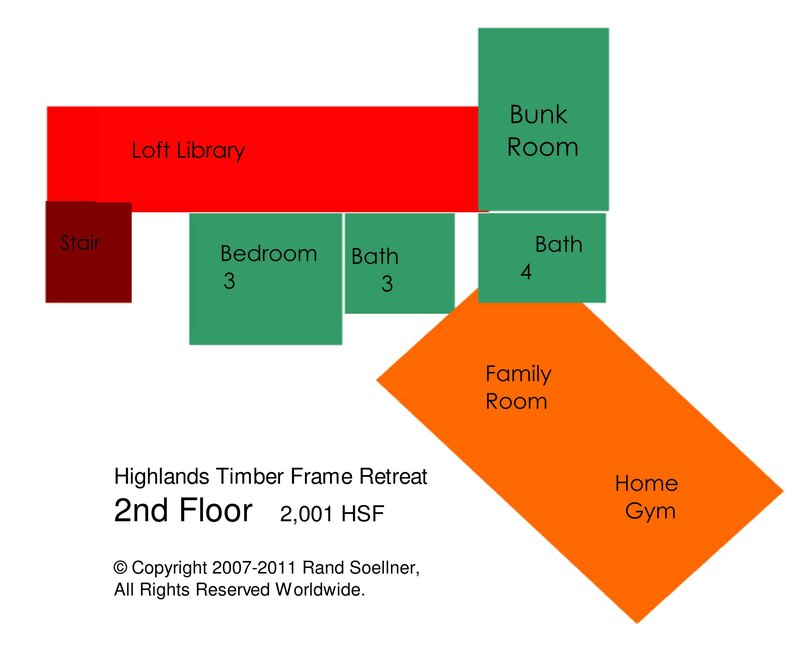 License is hereby granted to all parties who wish to link to this page from their website with the anchor text: timber frame design. Construction photos courtesy of Koenig Homebuilders. View to front door from porte-cochere. (C)Copyright 2010 Rand Soellner. Photos by Koenig Homebuilders. have ever visited! ), the best master closets, the best Master Mountain Spa Bathroom (you have never seen a bathroom like this! ), the best Master Bedroom, a Sleeping Porch off the Master Suite, an Outdoor Living Room, complete with a massive fireplace, outdoor spa with hot tub, personal Office for 2 with partners’ desk, Sewing/Laundry room, spacious garage, accommodating guest suites with their own dedicated bathrooms, mountain house powder room (the vanity counter is an 18″ thick timber beam that spans from one wall to the other! ), Upstairs Loft and additional guest room and Bunk Room for the visiting kiddies (also with their own bathroom), and a family Gym. Wow! Believe it or not, you are looking at the side of a garage. 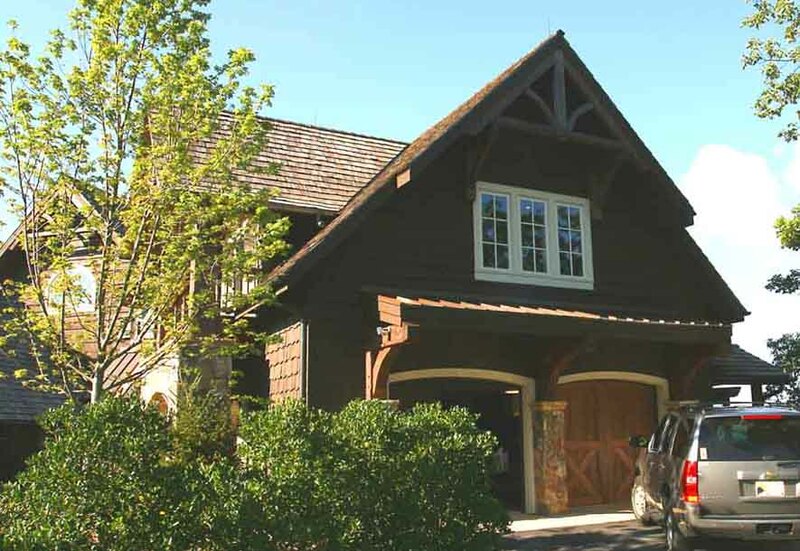 Soellner designed the side elevation to be enhanced with the Playroom- Home Gym over the garage, and the stone lower architectural treatment below that. It is with design skills like this that something that would have otherwise have been commonplace becomes elevated into the realm of quality home architecture. We have added some more recent photos here, as compared with the previous earlier construction shots. We’ll come back to this timber frame design and this mountain house from time to time to update the photos as the builder makes progress. Post and beam architects selected exterior materials with lots of native rock on towers, random board and batten and sawmill wall siding, cedar wall shingles, and faux slate roofing tiles. 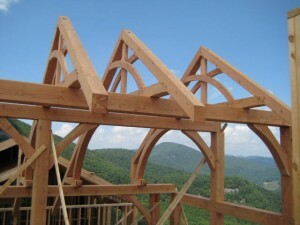 Rand Soellner’s company trademark timber frame design roof trusses can be seen in some of these construction photos, illustrating a glimpse of how dramatic the interiors will be, when complete. The architectural firm’s Value Engineering is at work here, as he used conventional stud walls and standard roof trusses for the majority of the project, using accent timbers where they will be most visible. 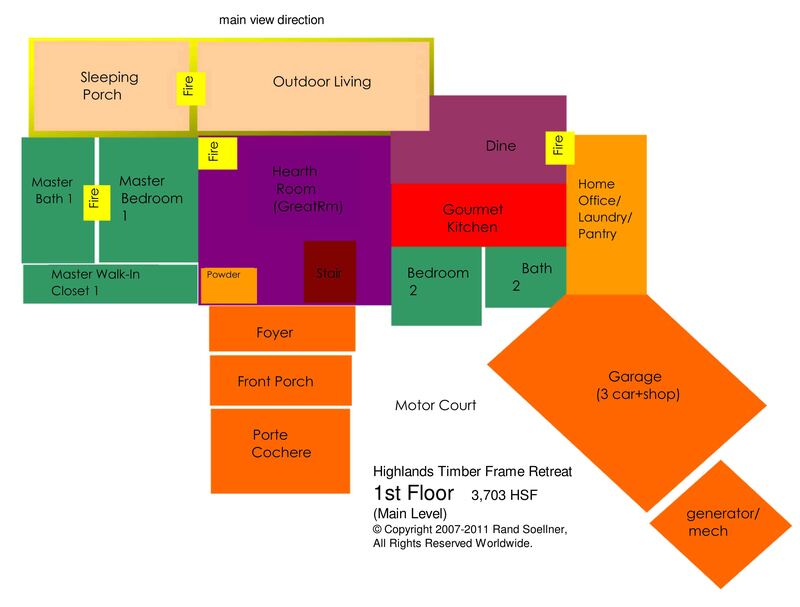 This results in a house about $45/sf less costly than a total timber frame design. This project is about 5,700 heated square feet, so that’s a huge savings. 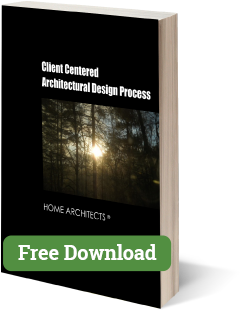 The design firm, who is licensed in multiple states throughout the USA, functioned as timber frame architects on this project and mountain house architects. 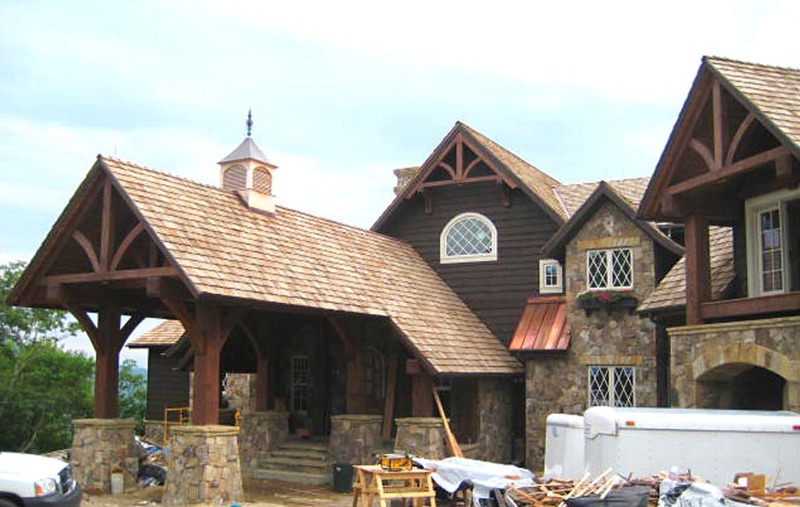 The general contractor happened to have its own timber frame shop in-house for the project and the contractor and the architect have worked together before on various projects in the area. If you are interested, click here –> Mountain Home Retreats for this series of houses designed by Rand Soellner, AIA, senior staff architect for this company. Please click on–> post and beam architect for more information about the history and background for this type of design. And click on–> mountain homes architect for more data about this residential designs in scenic regions. 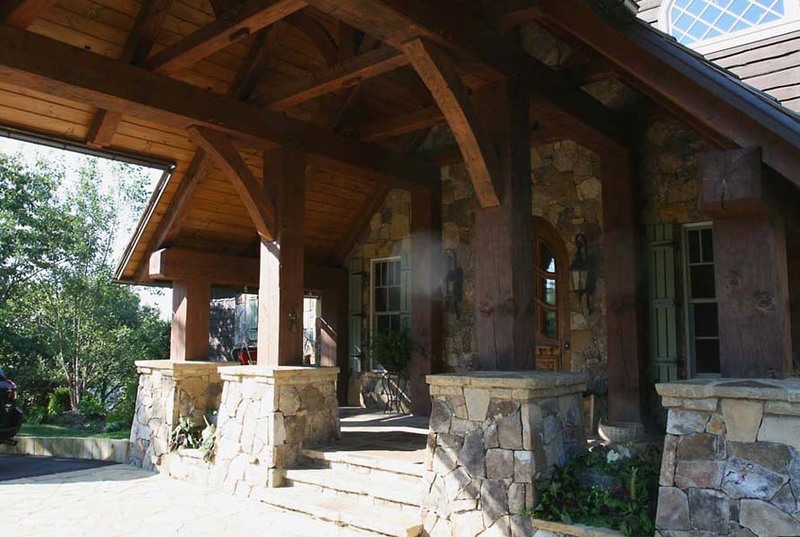 tags: timber frame design, mountain house, highlands nc, cashiers, lake toxaway, hendersonville, post and beam, residential, boone, lake lure, atlanta, canada, telluride, custom, log, green, mansion, small, cottage, destin.